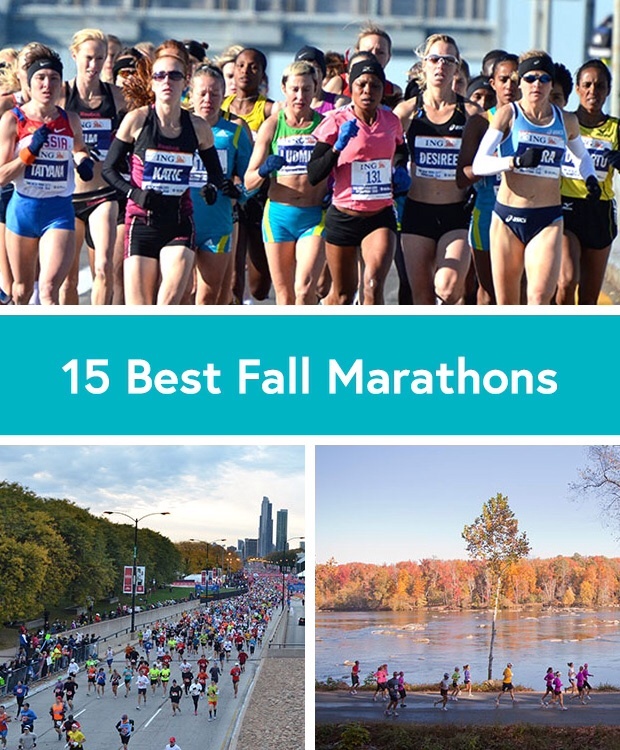 What is your favorite Fall Marathon? As the Summer scorches on heading into July, my thoughts are on Fall racing. I think many of us train hard during the Summer months in hopes of at least one awesome race in the Fall. I love race planning. Planning though, for runners, often is months in advance of a race. My Fall schedule is already in place and includes several first time races, and some old favorites. It gets the heart pumping just thinking about toeing the line at some of my choices this Fall. Big Cottonwood Marathon in September, Chicago Marathon in October, City of Oaks in November. I have a great line up. I recently looked up some info on the best Fall marathons, and I have to tell you, there are some amazing races to run. A few that made the list of the top 15 Fall marathons are- Anthem Richmond, Chicago, Steamtown, Jackson Hole, NYC, and Las Vegas. The only race on the list that I have run is Rock ~n~ Roll Las Vegas. My question for you today is this….. Do you have a favorite Fall Marathon or race that is a must run? I ask because it’s never too early to start planning. My race calendar is full this Fall, but I need a few suggestions to start looking at for next year. Which ones are your favorites? Big deals to me. My car lease is up in a few weeks, time to get really serious about car shopping. Looks like today will be a good day for that. It’s got to be affordable, and great on gas. Don’t think I will lease again, so I really have to like this one. My phone won’t maintain a charge longer than eight hours anymore. It’s going on three years old. Time for a new one. iPhone 5s? Droid Maxx? Not sure. I need a new one, and I have to decide soon, and purchase it so I don’t extend my contract. Five mile run… Where and when will I be able to squeeze this in today between the rain storms? I have been hill training all week, and it’s time for a little distance run. I figure five miles is a good start for today, and want to follow it up with a 5k, or four miler tomorrow before work. Those runs will help to alleviate the stresses of big purchases. Do you struggle when long term choices are beckoning? I find marathon training easier than car shopping. I don’t know about you. My weekend looks full, how about yours? What? Qualify for two Boston’s at the same race? Yes, please…. The Boston Athletic Association has announced registration periods and dates for the 2015 race which will be held on April 20th next year. They have also now announced when the qualifying period for the 2016 Boston race will start. Drumroll please……. 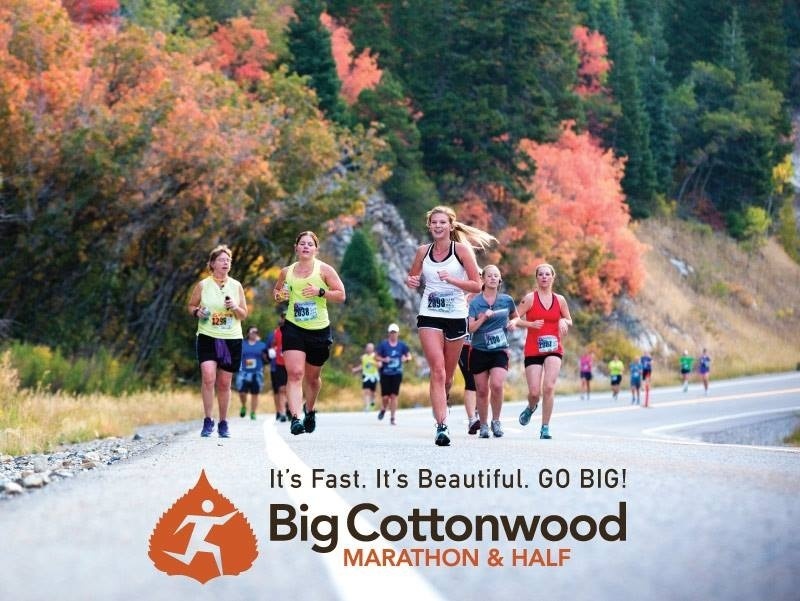 The Big Cottonwood Marathon in Utah, as promised, becomes a race you can run on September 13th, and qualify for two Boston Marathons. That’s right, two! September 13th is the opening day for qualifications for the 2016 race. It’s also registration week for the 2015 event. Two for the price of one, as they say. Buy One Get One. BOGO! I am extremely excited to hear this news. Not that a Boston Qualifying time is a sure thing, because for me, it certainly isn’t. My best marathon finish thus far is seven minutes off my BQ standard, so I have work to do. I have a training plan in place this Summer, which will hopefully put me in good standing for a wholehearted attempt. I plugged my marathon best into a calculator which predicts finish time at the Big Cottonwood, and it puts me well under my standard. So, if I have a great race, I can register for Boston. You see, the Big Cottonwood marathon is not a flat race, it’s mostly downhill, and has a great record for qualifying runners for Boston. This is the original reason I signed up for this race a few months ago. Why don’t you join me in Utah this September? It’s a fast, and beautiful course, with an amazing atmosphere from what I’ve read. Great race medals, and swag, and for heavens sake, a shot at two Boston’s? Who wouldn’t want to run this race? 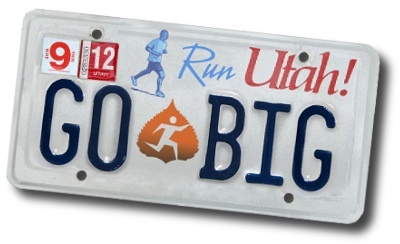 Go Big at the Big Cottonwood marathon with me this September 13th. It’s all downhill from here, literally! With five marathons and a few other races behind me so far in 2014, my focus now shifts. My plans for this year were really two fold, and I am now on to the second part of 2014 plans. What does this mean? After a few weeks of recovery, well really a month of lower mileage, the hills are beckoning my name. This Summer is all about hill training. Why? I have an amazingly different sort of marathon to run in September. A marathon quite unlike any other I’ve run in my 13 attemps. In September, I will hop on a four and a half hour flight to Utah for an amazing adventure. An adventure to a new state, a place I have always wanted to visit but never have. An adventure of epic proportions, and mostly downhill. 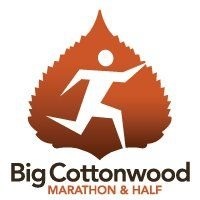 I am running the Big Cottonwood Marathon by Revel. I have already begun the training regime that I believe will get me to that starting line as prepared as possible. I’ve heard that this marathon can be a killer on the quads, so my workouts over the next two months will be all about building strength. Squats, leg presses, hill workouts, and the like are in order. Luckily I have a few decent sized hills right here at home to test and retest my quads. I generally incorporate hill training in my everyday marathon plans, but this time around I need to focus more on the downhills. Sounds fun, right? Who wouldn’t want to spend extra time doing that? I began a week ago, and if all goes according to plan, my legs will be stronger and ready to tackle 16 miles of descent. This race starts at a ski resort in Utah, and traverses through the canyon down to a mostly flat finish. I have always taken hill grades seriously, and try to practice ahead of time. I believe this will be critical to maximize my success chances in Utah. For weeks prior to the Blue Ridge Marathon last year, I worked on hills. I did the best I could, but those were not hills, they were mountains. My preparations helped, but weren’t maximized. This time around I will prepare better. I am going to work on the downhills. Work on my speed, and pacing. I will work on my breathing techniques to maximize my downhill pace, and really stretch my stride to get further in a shorter amount of time. I remember a few massive downhill sections on the Blue Ridge course, and it takes a lot of effort. Different effort. You are almost forced to run faster, to move better with gravity. It’s fun, but taxing. I remember hitting a flat section after a mile of downhill at a significant grade, and thought my Achilles’ tendons were going to snap. I remember the quad burn, the adjustment you had to make back to the flat surface. It’s not easy. I am preparing better this time. I can’t wait to #GoBig in Utah this September. Hopefully my body will be ready, and will take me down that canyon at Boston Qualifying speed. That is the goal after all. Do you have any good training tips to share? Good workouts for quads? Good experiences with downhill races to share? Please do! The announcement has been made. 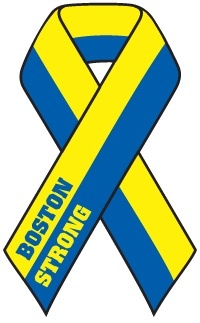 The formal announcement for registration for the 2015 Boston Marathon. Registration will begin on September 8, 2014 for those runners beating their age group time standard by 20 minutes or more. Following that, on 9/10, those more than 10 minutes better than qualifying time. Then on 9/12, those qualifying by more than five minutes better than standard are able to register. What does this mean to me? My Boston Qualifying goal race is 9/13. During registration week. My qualifying time standard is 3:25:00. That means that if I run a 3:20:00 at Big Cottonwood, I could register for Boston right after I finish the race. If I meet my standard, but not by 5 minutes or more, I could register on 9/15 if space remains. The B.A.A. has not yet announced the size of the marathon field for 2015, or the percentage of that field which will be designated for time qualifiers, so a lot remains up in the air. It would be amazing to qualify in Utah on 9/13, but only time will tell. I will make sure that I have my IPad and credit card to register provided the marathon goes as planned, but I will also have a box of tissues just in case I’m crying at the end out of disappointment. First things first though. I have a Summer chock full of training ahead of me, and to get to Boston will take one training run at a time. Anyone out there shooting for a Boston Qualifying time this Summer? Where and when is your race? Are you ready to take on the challenge? To my Dad: I love you, and thank you for loving me unconditionally for 44 years. I thank you for the lessons in life, and I thank you for your often times quiet support from afar the last 33 years. To my kids: Thank you for allowing me to love you unconditionally. Thank you for loving me through thick and thin, and for becoming great young men under my guidance. When I’ve made mistakes, we’ve both learned from them. When you’ve made mistakes, I’ve tried to give you a better path. I hope I’ve given you the tools to become great fathers one day. A Dad is very important, and I am thankful that I went down the path of fatherhood. Oh, and thank you for the donuts, too! 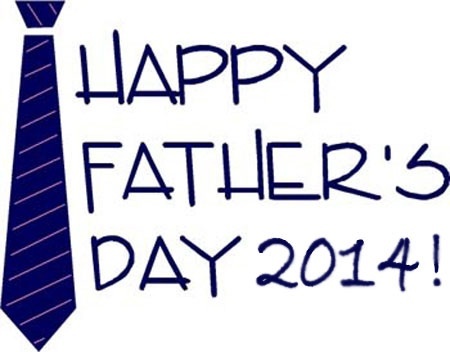 Happy Father’s Day to of all the awesome Dad’s out there! Hope you get to enjoy some of your favorite things today, including the kids. I knew it would arrive. Officially it still hasn’t arrived, but it sure feels like Summer. Yesterday was in the lower 90’s, with oppressive humidity. Today, much of the same. It’s time to start planning that training plan for Fall, and how to have a successful cycle and beat the heat at the same time. When I look back at last years training, I am amazed. One good thing about keeping a running log is being able to gleen some knowledge from what you have done right and wrong in the past. From daily workouts to total monthly miles, keeping track of your workouts is important. I’ve tried to adapt training plans from several I’ve seen online or in magazines because I just don’t believe that any one plan is better than the other. You have to be able to mold and manipulate a plan so that it works around your home and work life, vacations, appointments, etc. I feel this is especially important during the Summer months. 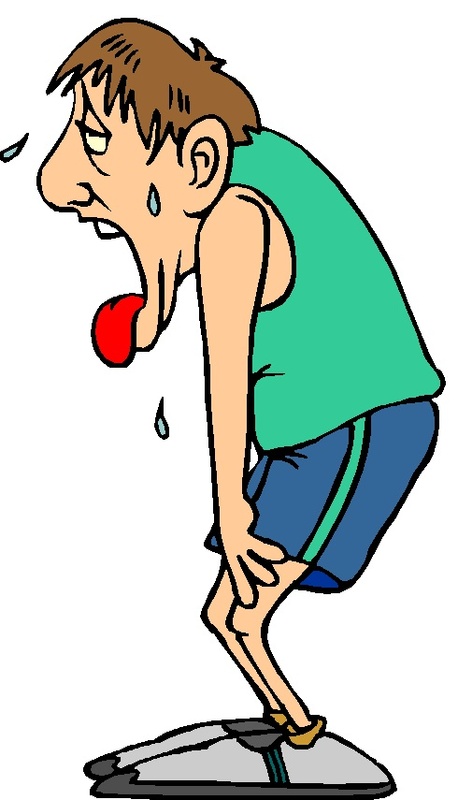 Sometimes it just doesn’t make any sense to run a 12 miler for instance, on a 100 degree day. A Summer training plan must be kept fluid, to be successful. Dont ask me how I did it, but last year my training in the Summer was amazingly successful. It led to great rewards in all three marathons I ran last Fall. After a lackluster training cycle this past winter, I have to figure out what I did differently last Summer that really set me up for success. My running log sheds some light….. Monthly mileage last Summer: June 71, July 108, August 122, September 131. All good numbers. My conclusion? More daylight during the Summer = more opportunities to run when it fits into my schedule and when the weather is more prime for getting that workout in. Monthly mileage last Winter: December 77, January 74, February 67, March 63. To me that really tells the story. I think commitment to getting in those miles is what held me back, and affected my race performance this past winter and Spring. I really hate getting all bundled up and run in the dark. I am much less enthusiastic to train in the winter. Today’s brutal heat and humidity have me wishing for those days again. I vow to change my strategy this year. Mixing in some recovery this week, I really need to get started with training if I want to have a successful Fall. I’m going for that BQ in September, with a back up race (Chicago) in October. Let’s see if I can learn from my mistakes and grow as a runner and finally get myself to Boston. Good luck with your Summer cycle. How do you beat the heat and maintain your enthusiasm during the Summer months? Any tips or tricks? Please share….